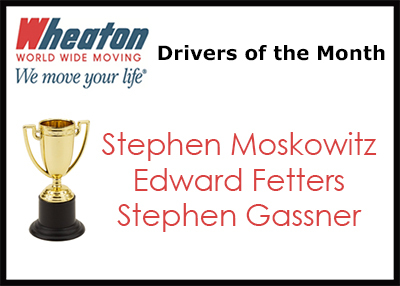 The following drivers have been selected as the February 2017 Drivers of the Month: Direct Lease Driver of the Month,… Continue reading. February 8th, 2017 | News and Events, Wheaton World Wide Moving. 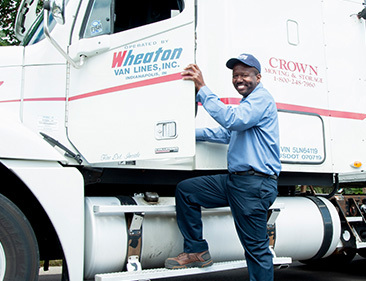 INDIANAPOLIS – Wheaton World Wide Moving was recently announced as the 2016 American Moving & Storage Association (AMSA) Fleet Safety… Continue reading. INDIANAPOLIS – Crown Moving & Storage, Inc. is Wheaton World Wide Moving’s Agent of the Month for January 2017. The… Continue reading. January 26th, 2017 | News and Events, Wheaton World Wide Moving. 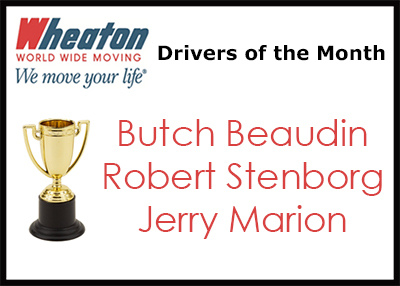 The following drivers have been selected as the January 2017 Drivers of the Month: Direct Lease Driver of the Month,… Continue reading. 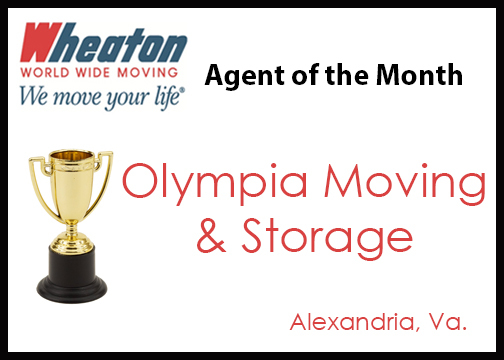 ALEXANDRIA, Va. – Olympia Moving & Storage is Wheaton World Wide Moving’s Agent of the Month for December 2016. The… Continue reading. 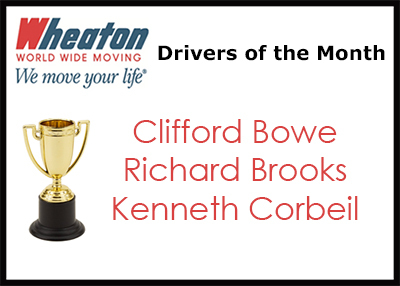 The following drivers have been selected as the December 2016 Drivers of the Month: Direct Lease Driver of the Month,… Continue reading. 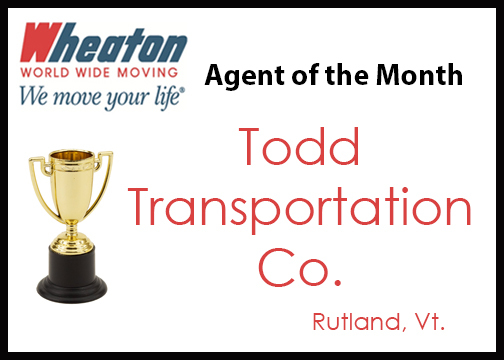 RUTLAND, Vt. – Todd Transportation, Co. is Wheaton World Wide Moving’s Agent of the Month for November 2016. The award… Continue reading. Tucson, Ariz. ─ AAA Old Pueblo Moving and Warehouse of Tucson, Ariz. recently joined the Wheaton World Wide Moving agency… Continue reading. The following drivers have been selected as the November 2016 Drivers of the Month: Direct Lease Driver of the Month,… Continue reading. 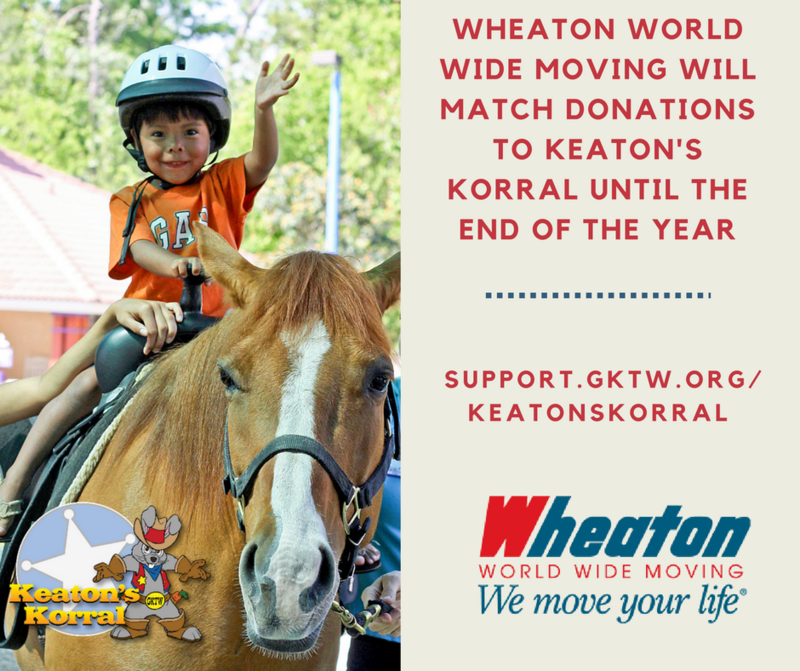 INDIANAPOLIS ─ Wheaton World Wide Moving will match donations up to $30,000 to Keaton’s Korral at Give Kids The World… Continue reading.